In Judaism, the first life cycle ritual one will experience is birth. This special moment is honored with a celebration where a child receives his or her Hebrew name. Generally, a bris takes place fairly early following birth. There is no traditionally required time line for a naming ceremony. However, we suggest that you schedule a naming ceremony soon after birth. 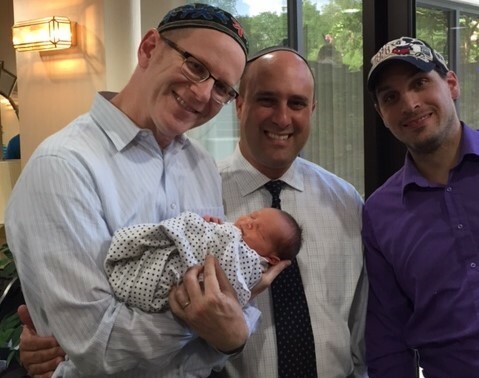 Brit milah (the required ritual circumcision for boys) can be performed in your home by a certified mohel. Our wonderful synagogue offers well-manageable space to host your naming ceremony. Please contact Leslie in the Clergy Office to let us know about your upcoming simha and help coordinate your event.